These Bicycle Playing Cards are inspired by iconic and retro tattoo imagery. Each Bicycle Alchemy deck features unique images on both the faces and backs of the cards. 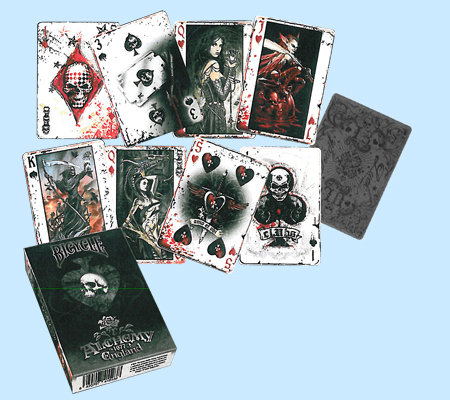 For more information or volume pricing on Bicycle Alchemy Playing Cards, please contact us at 1-800-233-0828.